Brands and businesses are moving away from traditional websites, and placing more and more emphasis on their Facebook pages. This is great from a customer service and interaction standpoint, but certainly muddies the waters from an SEO perspective. It used to be that with the right mix of keyword-laden text, reciprocal links, and clever use of heading text, a crafty SEO expert could push a website up in the rankings. But now the focus is on your Facebook page, and you still need to get your brand or business in the top of the rankings. Here’s seven tips to help you do just that. The names of your Facebook page, custom URL, and custom tabs are of utmost importance. Search engines see these titles in Heading 1, which means they’re heavily ranked by search engines. Craft the title of your page, tabs, and URL carefully, making sure they contain the name of your brand or business. If you’re the proud owner of Joe’s Garage, but instead opt for “Mechanics You Can Trust,” Joe’s Garage isn’t going to rank highly on the SERPs. Your brand or business name is how you’re known and how you’re found, so be consistent when labeling your page, URL, and tabs. And once you’ve named your page or picked your vanity URL, commit to it. As is the case with traditional SEO, getting links to your Facebook page and custom tabs is extremely beneficial. Links are like recommendations. If one friend recommends you eat at a certain restaurant, you’ll consider it. If a number of your friends echo that recommendation, you’ll be convinced. If Google sees that your tabs and pages are being linked to by numerous sources, both on and off of Facebook, then your page and tabs must be important. 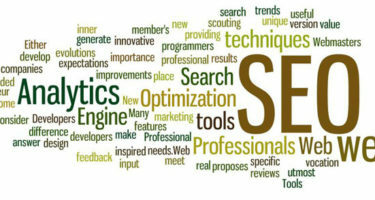 But search engines also take into consideration where the links are coming from. A link to a custom tab on your business page will be weighted much more heavily if it’s from a popular, recognized source. More of your Facebook page is indexed by search engines than you may realize. For instance, your wall posts are indexed. But since wall posts lose their relevancy in time, they aren’t given much weight. Still, using your target words and phrases in your wall posts isn’t a bad idea. Your new custom tabs you painstakingly created? Relax, those are indexed too. And given quite a bit more weight than wall posts. Remember, well-earned Likes are a significant ranking factor in Bing, and building Likes is one of the easiest and strongest things you can do for ranking Facebook content on Bing. So if you haven’t already, build some custom tabs and name them appropriately. Use Heading 1 text, emphasize titles, and add bold text. Custom tabs have staying power, you and your friends can create links to your custom tabs, and you can even provide links to your custom tabs from external sites, so aptly named tabs with multiple links to them will be will be very beneficial in your SEO efforts. It may seem like common sense, but search engines can’t parse images, which means they can’t tell if there’s text inside an image. So don’t put your SEO-rich text within an image that you add to a new custom welcome tab. It can’t be indexed there. Instead, put that text on the About and Info tabs. But remember that Facebook is a place for social connection and interaction, so don’t go overboard with SEO-rich text. Material that isn’t social won’t hold your fans’ attention, and can even cause abandonment. Being a good community manager is just as important as an SEO campaign. The popular Facebook pages have all those likes because those pages embrace the ideology of Facebook: they’re interactive, engaging, and usable pages. Facebook, at its core, is about connecting with people, so don’t sacrifice the interactivity of your page for the sake of SEO.